Give a little help. Get a little help. Succeed together. Carol Bartz has extensive experience leading complex global technology companies. While CEO of Yahoo!, the world's premier digital media company, Carol modernized technology platforms, acquired companies for expansion, divested businesses for focus, ignited partnerships, cut costs, expanded margins and grew consumer audience to 800M people. Prior to Yahoo!, she transitioned after 12 years of successfully leading Autodesk as CEO to the Executive Chairman role until February, 2009, when she agreed to lead Yahoo!. Earlier in her career Carol held several business leadership positions at Sun Microsystems, including VP of Worldwide Field Operations and an executive officer of the company. 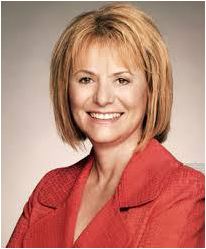 Carol is currently the lead director on the Board of Cisco Systems, the worldwide leader in networking. She has also served on other public company boards, including Intel and NetApp. Carol is known for her strong leadership style and is frequently featured as a prominent business leader in the industry. Carol supports key causes important to her including the American Breast Cancer Foundation and the American Heart Association as well as serving as a board member for Teen Success Inc.
Join a global and local community of entrepreneurial women.